Love your terrific tag! 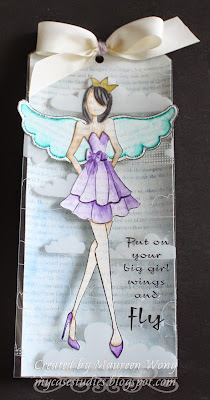 Great take on the challenge and especially loved the angel paper doll! Beautiful tag! Thanks for joining along with the Simon Says Stamp Monday challenge! Oh this is so beautiful, I love it.